Today is May 11, 2017 and I wanted to give you a brief update as to what the Lord has been doing through Oasis Church and in our lives. Over the past couple of months, we have been able to serve others in Jesus Name at a Mardi Gras parade (my first one to ever attend) and a giant Easter egg hunt at the Wharf. It is an amazing opportunity to be a Christian witness at these completely secular events. At the Easter egg hunt we saw hundreds of kids, and Lisa made gospel bracelets with many of them. As I filled up and gave out balloons I would ask people if they knew what Easter was about. Some of them had no idea or took no thought that it was a celebration of the resurrection of the Savior of the world. As we serve in these venues I am made aware that we are quickly heading in the direction of being a post-Christian Nation if we are not already there. One of our highlights was having our youngest son Hunter come down and serve with us over the Easter weekend. He and I had the opportunity to lead a resurrection worship service on the beach where we saw over 150 people gather to hear the gospel. He led in music and singing and I shared about the resurrection of Jesus and what that means for us. In just a couple of weeks the crowds down at the coast will swell as vacationers come from all over the southeast and other parts of the country. Some of them will join us for worship and Bible study — some of them for the first time or for the first time in a long time. We have seen and heard more people say that before worshiping at Oasis they had not been to church for many years. I believe the setting and the atmosphere that we are in can be more inviting and less threatening to lost and unchurched people than a regular traditional church building. A traditional church building has its advantages but so does a venue like this for reaching the lost and making disciples. We know that the church is not a building but we are the church. Our next big ministry event will be on May 26th at the Pepsi Beach Ball drop at the Wharf. Please continue to pray for us to be effective in sowing the seed of the Word of God in hearts and that many will be receptive and come to know Jesus Christ, abide in Him and produce more fruit. Pray for Houston as he leads the music and the youth and college age Bible study on Tuesday nights and Lisa and I as we lead the Wednesday Bible studies for children and adults. God is using one of our regular worshippers at Oasis in a big way to help get the good news out. She has put us on Facebook live every Sunday at 10:15 so people can watch our worship service from anywhere. Many who worship with us for a while and then travel back to another state are able to still worship with us on Oasis church at the wharf. 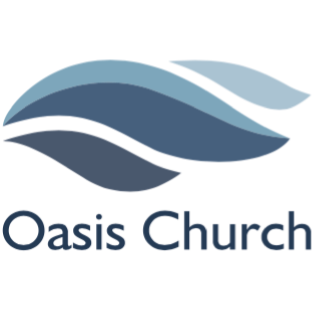 Also, we have a new website at oasischurchsbc.org. It looks awesome and is much more user friendly. We celebrated our 1 year anniversary on May 1. I can’t believe it has already been one whole year. We thank God for His faithfulness and provision and for your support through prayer, giving and serving. Please consider praying for Oasis ministry on a regular basis, giving a one time or regular offering to support this work for the Kingdom (You may give online through our website) and or coming to worship and serve with us some time. Thank you for being our friends, partners, and encouragers as we serve in this new ministry!